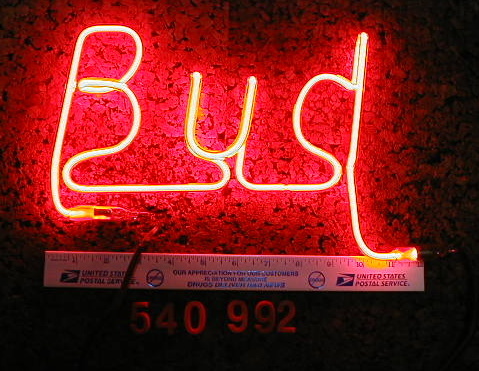 Bud Dry neon beer sign tubes & parts. 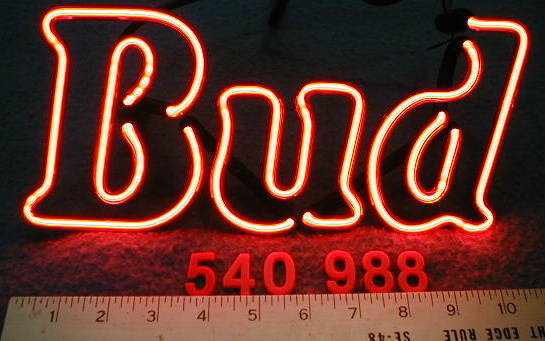 Bud Dry neon beer sign parts - tubes. 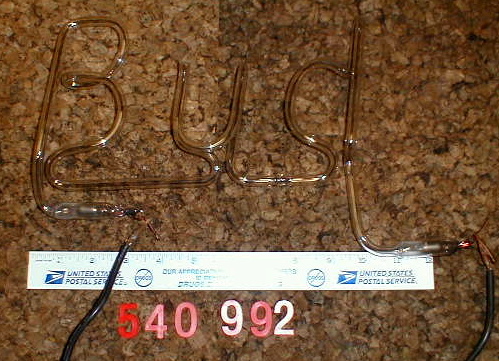 Any signs pictured are for reference only. 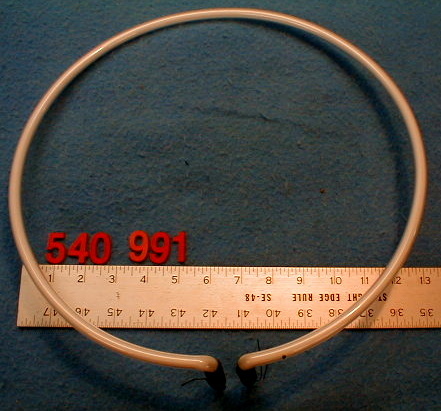 parts only, not signs. 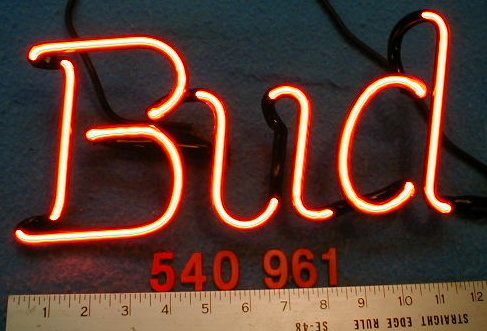 Bud neon tube for a Bud Dry neon beer sign. 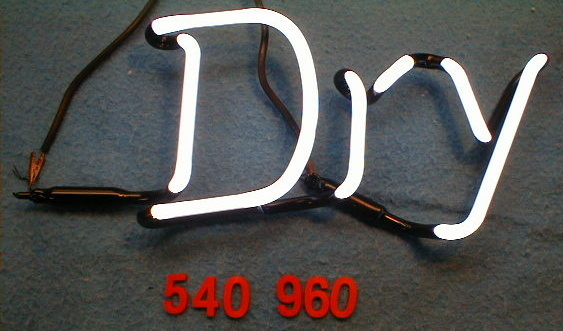 Underline tube for a Bud Dry neon beer sign. 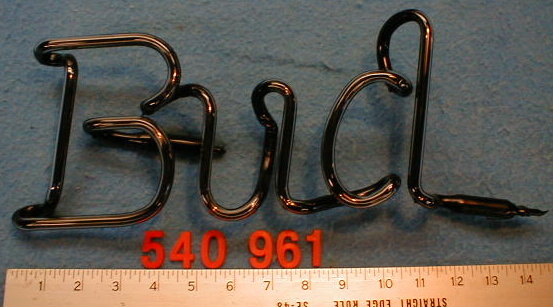 A Bud neon tube for a Bud Dry clock. 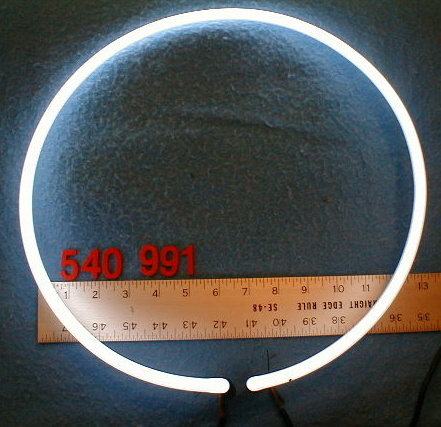 This neon ring tube is for a Bud Dry beer clock. 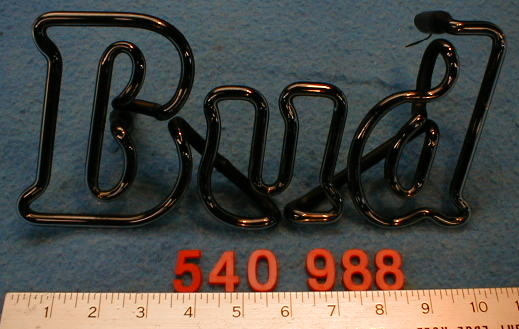 Bud neon tube for a Bud Dry vacuum formed sign. 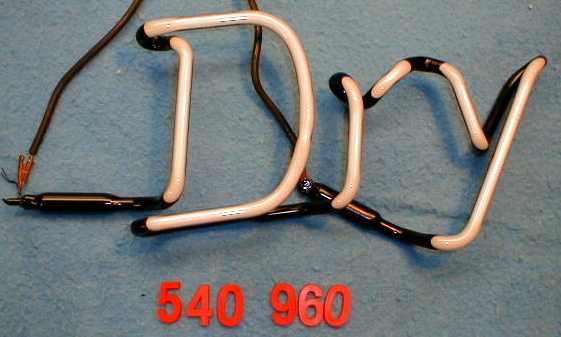 New Bud neon tube for unknown neon sign, note deep electrode depth.